Our objective: To discover affordable ways to convert sunlight into storable solar fuels. The first IC5 workshop was held in India in September 2017. The report is available for download. Today 70% of worldwide energy use is derived from fossil fuels. In order to redress this balance, a key challenge is in producing fuels that are carbon neutral in both their production and use. Solar energy is already one of the most important sustainable energy sources on the planet, but its potential contribution to a clean energy future is far from being fully exploited. 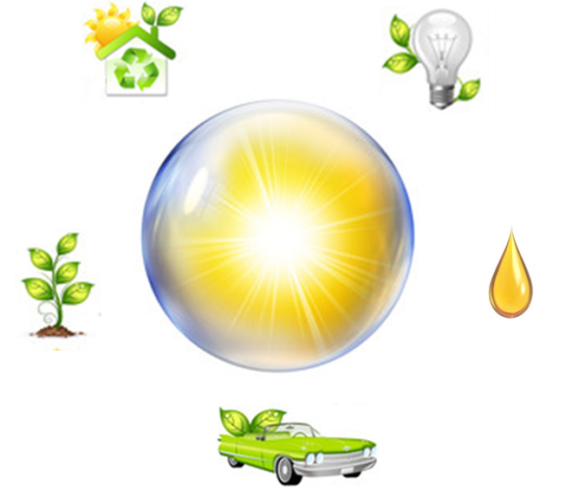 The production of clean fuels (including other forms of storable chemical energy) from sunlight is the next step. Current energy demand is primarily met through burning fossil fuels such as coal, crude oil and natural gas. Not only is this situation currently unsustainable, but as energy demand is foreseen to increase to meet global needs, the continuous use of fossil fuels to satisfy this demand is simply untenable given our common goal to keep global warming well below 2 degrees Celsius, as set out in the Paris Agreement. Enough energy strikes the earth in the form of sunlight to fulfil all of mankind’s energy needs. We can take inspiration from the plant world, where photosynthesis provides the basis of life. This process can inspire the next generation of technologies that can truly capture and bottle the energy of the sun. However, the transition from fossil based fuels to cleaner solar fuels has been hindered by the high cost of conversion technologies. Research and innovation is needed to bring them from infancy to maturity. In order to deploy solar fuel technologies at large scale, performance breakthroughs and cost reductions are a must. For this to happen, the Converting Sunlight Innovation Challenge invites governments and the private sector to focus their research and innovation efforts in this direction. Producing carbon-neutral clean fuels (such as hydrogen) and developing breakthrough energy storage chemicals will not only contribute to mitigating climate change, they will also serve to enhance energy security and will provide opportunities for economic development across the globe. Converting sunlight to obtain these fuels and energy storage chemicals is an innovation challenge with great opportunities. A number of Mission Innovation member countries are global leaders in the research and production of these innovative new solar technologies. Their knowledge, coupled with the Mission Innovation commitment to double spending on clean energy research and development, is an opportunity to rapidly accelerate innovation. Implementing the Converting Sunlight Innovation Challenge will involve embarking on a number of actions, which could include the development of tools to help accelerate innovation efforts, understanding where research and development is already happening, adapting existing technologies to different markets, and identifying gaps and opportunities. Implementation can also mean pursuing joint research efforts through public-private partnerships as well as joint research among Mission Innovation members.